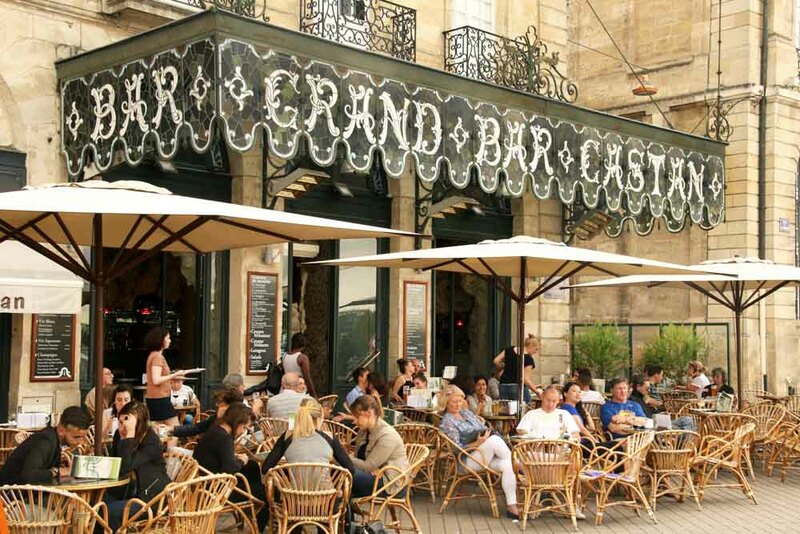 Outdoor cafes are a common sight in Bordeaux. Perfect for people-watching. You’d expect no less from a city renowned for creating fine wines. Bordeaux’s mix of top-notch eateries include Michelin-starred restaurants, dishes with locally sourced ingredients, and traditional french fare that’ll have you returning for more. Words Susan Gough Henly. The deliciously rococo one-Michelin-starred Le Chapon Fin with its grotto interior is Bordeaux’s oldest restaurant. These days its Vietnamese French chef has a light touch with the classics. Bordeaux’s most committed locavore restaurant with all ingredients sourced from local farmers and fishermen. There’s a downstairs Brooklyn-esque tapas bar, while the airy upstairs restaurant has a pretty balcony overlooking the St Pierre neighbourhood.